Envision is proud to be working with The Reserve Forces’ and Cadets’ Association for Greater London on sustainability assessments for various new build training and accommodation facilities in the Greater London Area. The Reserve Forces’ and Cadets’ Association for Greater London (GL RFCA) was founded in 1908 at the same time as the Territorial Army. The Greater London Association is one of twelve autonomous Reserve Forces and Cadets Associations (RFCAs) spread throughout the United Kingdom. Their role, amongst other things, is to upkeep of over 190 properties housing Reserves and Cadets alongside the administration of the Army Cadet Force (ACF) and the provision of property and facilities management for the Sea Cadet Corps and Air Training Corps. The RFCA manage more than 94 Ha of land including approximately 300,000m2 of built areas and 646,000m2 of landways, hardstanding and runways. 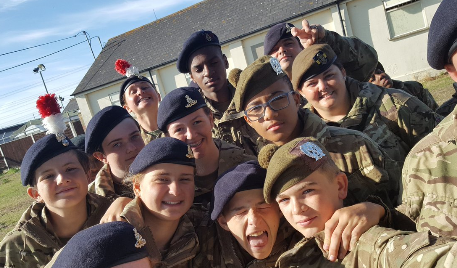 The RFCA have successfully designed and project managed multi-million pound rebuilds and full refurbishments of both reserve and cadet facilities. Sustainability is an important consideration to The Asscoiation. There is a drive to reduce the impact of the Estate’s, and increase energy efficiency within the buildings over the long term. Envision, in conjunction with BPR architects is advising on the development of new projects, including a new cadet training facility in Kenley and a new accommodation building in Coulsdon. Envision is applying the BREEAM methodology and is exploring suitable sustainability initiates with the RFCA. Further details on our BREEAM capabilities can be found here. IKEA Greenwich achieves the Highest BREEAM Outstanding Rating for UK Retail!